I did get all the stars. Maybe I was just lucky. I reported that bug with the red signal to N3V. They are aware of it and will address it. This is one of my favorite sessions, so when I hit the red signal, I did some experimenting because I wanted to finish properly. 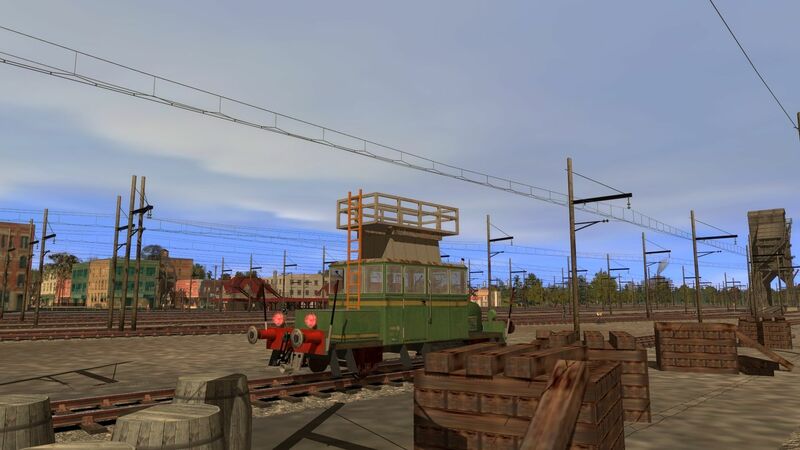 I found that I could take control of the oncoming freight and drive it onto the siding, which then freed up the siding signal for my consist. 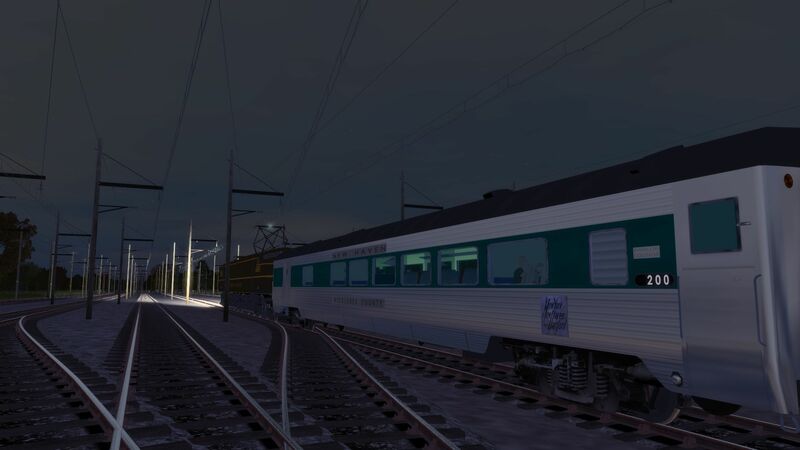 Once the oncoming freight was clear and parked on the siding and almost to the tunnel, the signal went green and I was able to proceed and finish the session. 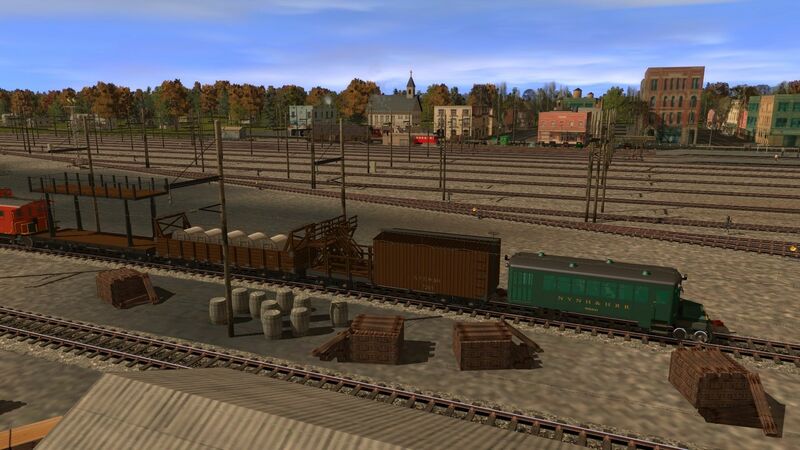 I think I had to change the switch on the far end of the siding manually once I drove the other freight out of the way. This was not the way the session played out in TANE, so there was a problem when the route was brought over into TRS19. So, if you get there too soon and get held by the red signal at the tunnel mouth, try driving the oncoming freight out of the way to let you proceed. I've always been able to drive the session in Cab Mode. When you start the session, look to the lower right. There are three colored buttons that you can click on. They let you toggle between DCC, Cab, or choosing commands to auto-control the train. Thanks for the tips Heinrich505, I'll give it another try. More of pweiser's new baggage/lounge, this time in the early morning (sorry the bar is closed). Last edited by normhart; March 15th, 2019 at 10:30 PM. Love the night shots. Very atmospheric. 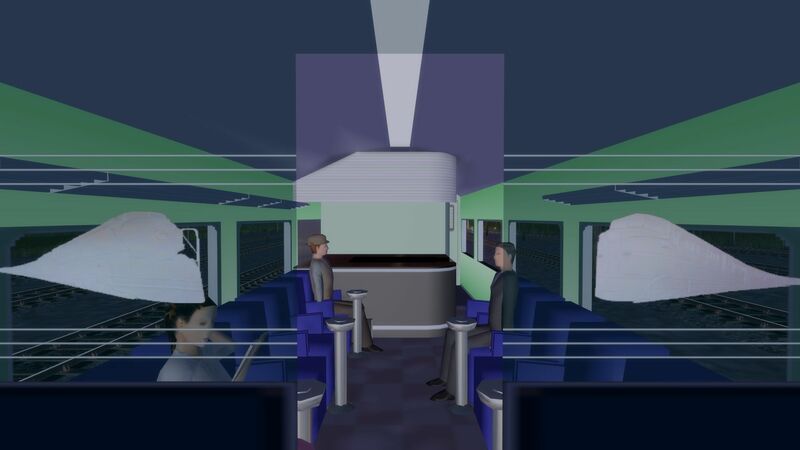 The interior shots of PWeiser's coaches are great. What route is that? The catenary looks very good. Thanks, that is my redo of an older version of msgsapper's New England Coastal. I do not have permission to share it and most of the trees are payware in any case. The catenary itself is a gfisher asset. It took quite a long time and I'm not at all sure it is anywhere near prototypical but it does look good if I do say so myself. Last edited by normhart; March 16th, 2019 at 02:39 PM. 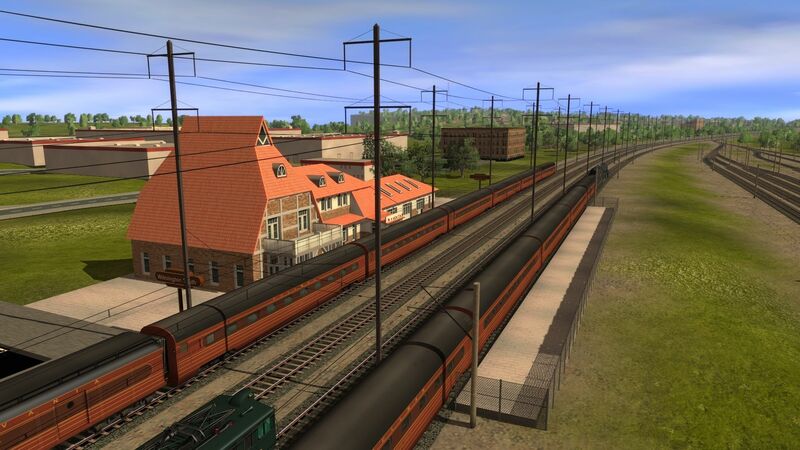 Small catenary service units like these were common in the US in the early days but there are none in trainz that I know of so I pressed a Spanish unit into service on the Dover Springs Branch. Cute little service unit. Have a picture somewhere of a GN line car converted from a doodlebug (makes sense, self-propelled when the wire is de-energized or broken). Huh, I just looked at my pic and realized that the railcar is clearly over gauge for standard gauge tracks, ah well, guess I'll have to stick to my repaints of Ben's work cars for now. Last edited by normhart; April 11th, 2019 at 09:07 AM. Wow I had not seen it, nice screenshot. How would a similar American unit be? 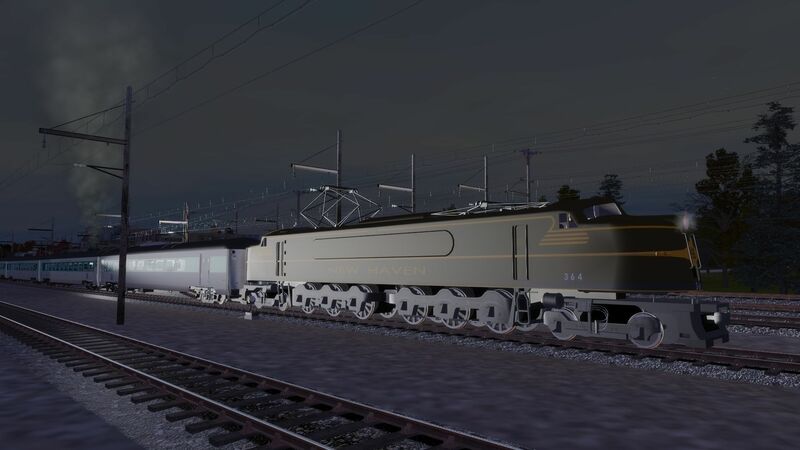 PRR's Wilmington shops roll out a new GG1 paint job. Last edited by normhart; April 15th, 2019 at 11:06 AM. I think it odd that 139 (if not all) of the GG1'a were built at the Juniata Shops in Altoona Pa, tested on a static roller bearing test bed, and were towed more than 100 miles, as Altoona areas had no overhead catenary, until reaching Harrisburg Pa.
Last edited by cascaderailroad; April 15th, 2019 at 07:56 PM. Those are such cool screenshots. All those GG1s, along with the other wonderous PRR engines. 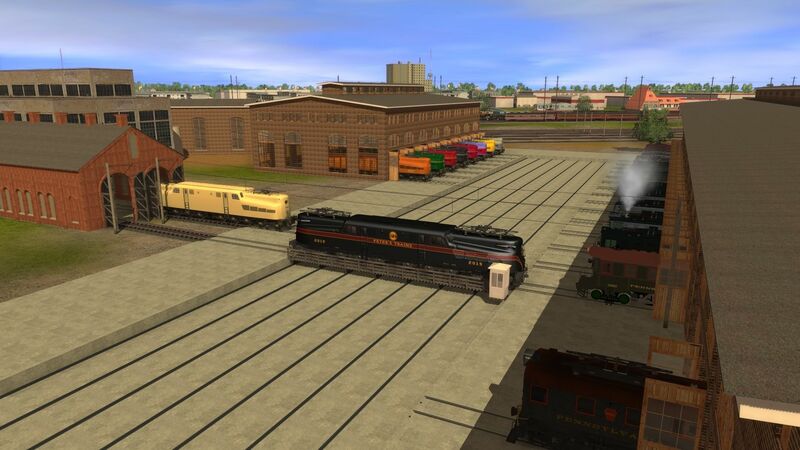 I grew up just outside of Wilmington when all this was going on, and really never knew anything about the PRR Wilmington Yard. We'd visited the station many times, and it was a unique and interesting place to check out, but my father never took me over to the yard to look at it. Is that the Northeast Corridor Route? And as for the transfer table, is that on the DLC? If they are available, I've got to get them. More "must have" items. Thanks for posting the great shots. 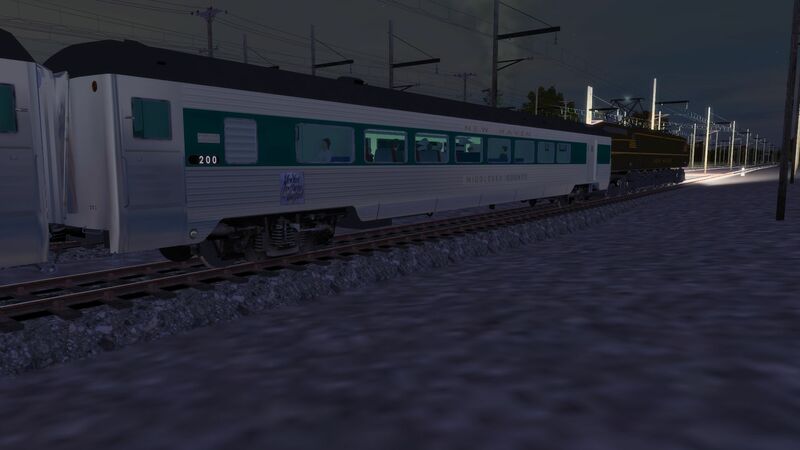 Yup that is a severely modified NEC Wilmington - Philadelphia route. I did find a few photos of the Wilmington shops in the days of steam but not enough to really build on so I just made stuff up. 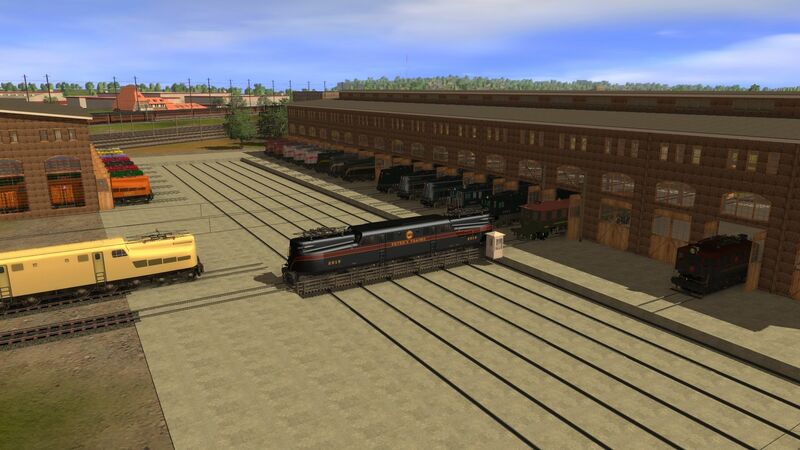 The transfer table and the two building bordering it as well as the overhead crane in the larger building are all part of bendorsey's Engine Complex set of 13 buildings, transfer tables, and roundhouses. They are all on the DLS. 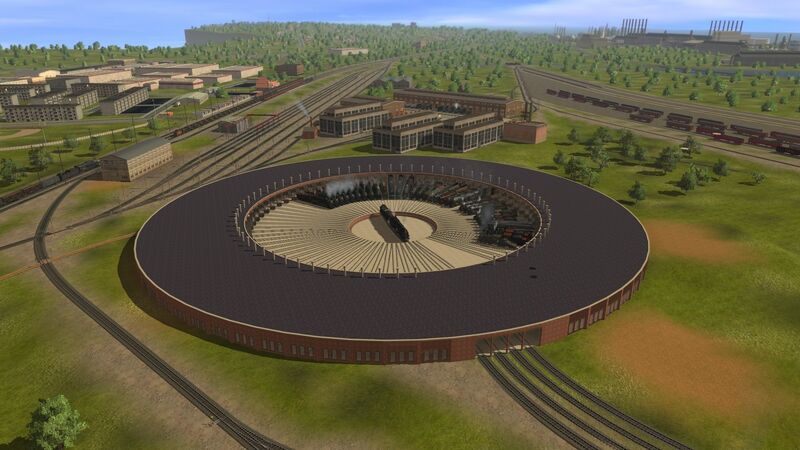 This is one of Ben's large roundhouses I added. 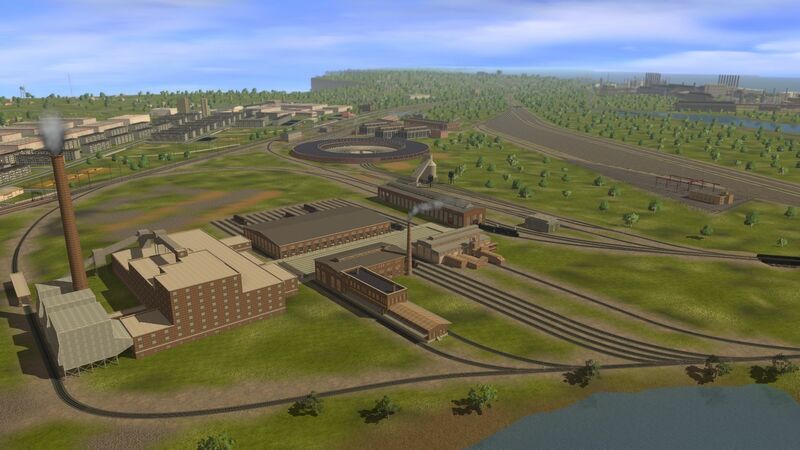 And this the passenger car shops, power station, and mallet house I recently (within the last couple of years) added. Also by Ben I think. I was really just looking for an excuse to use Ben's stuff. Last edited by normhart; April 15th, 2019 at 10:44 PM.